Comm Tower is the tower of the city of Charlescomm. The tower is topped by the ominous Arkendish. The tower has many floors, with the lower floors requiring special clearance for the staff (Archons) to enter. The city's portal is of course located on the lowest, 40th floor. It is separated from the rest of the tower and is inside the Portal Vault — a reinforced fortress-like structure with multiple traps of various kinds all aimed invards (most of them — for incapacitation). The portal chamber itself is a dome behind several access doors. The Vault is manned by an AAA-class commanding archon, 2 AA-class and 8 A-class archons. Weaponry available there includes Tripod Mounts CC-M3. 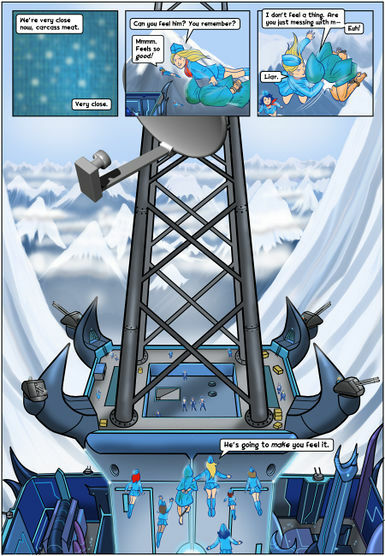 Comm tower is, well, a tall structure designed to support antennas for telecommunications and broadcasting, including radio and television. RKO is likely a reference to RKO Pictures and/or RKO Radio Network, one of the first commercial radio networks to distribute programming entirely by satellite. This page was last edited on 24 October 2017, at 05:01.